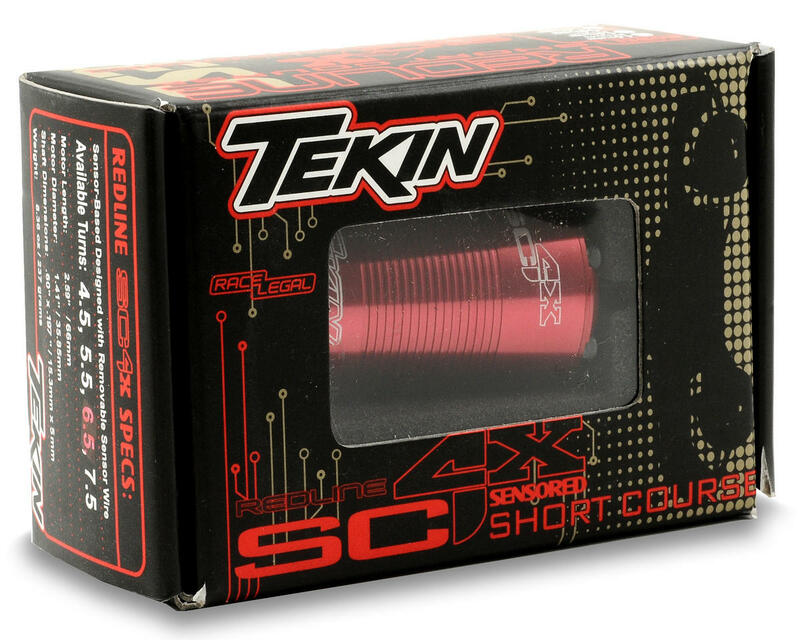 This is the Tekin Redline SC4X 6.5 Turn, Sensored, Brushless 550 Motor. This motor is Tekin’s latest contribution to high performance competition oriented components. Designed specifically for the Pro4 Short Course class, this motor can be used with any 1:10th scale 4wd Short Course chassis. The longer can and rotor provide more torque and lower operating temperatures, giving you the power you need to stay ahead of the competition. Engineered for power and efficiency, the Redline SC4X motors offer a superior and reliable platform for your 4wd Short Course needs. i got this as a present way better than any 540 class motor for your slash 4x4 or other 4wd short course trucks. i blew the stock motor because it was not made for the demands of the 4wd truck. it does however make a great motor for a 2wd truck but it who wants to use a 2wd motor in your 4wd truck. this may have a lower rpm than stock but the insane torque makes gear much easier because you can gear much higher than the stock. the speed difference is minamal as its onlu 100 rpm per volt so on a 3s lipo its around 1300 rpm slower but can be geared up 2-5 teeth on the pinion or 2-3 lower on the spur. this has a much needed increase in torque and runtime. the first time i ran this motor on a high traction surface i had a custome body (heavier than standard short course body`s) and the truck wheelied about 90 or so feet on the 1/2 charged battery 2s lipo which is 25c. temps are low enough to be able to touch the motor safely after a run where as stock would be hot enough to boild off watter. (gearing 56 spur 18 pinion pavement only at time looser slipper) this has made driving my truck more on the edge with the power provided but didnt make the truck un usable with the extra performance. i have used the stock esc but hope to get a much better one maybe a viper esc. (i am going to a 8th scale esc for the extra girth all the way around) only complaint is the soldier tabs are a little hard to get used to but are a little too close for a beginner at soldering but that my be just me. 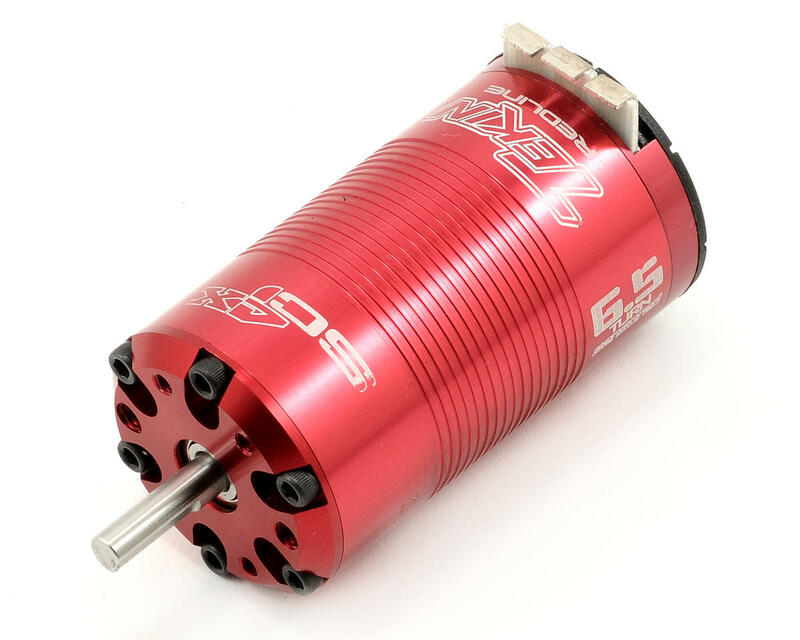 if i was to race i would still choose this motor because i want something good by design(not that a 4 pole motor could not do it its just good by quality not design example good glass vs just more glass) the extra can size makes for more power with less work vs any 540 class motor. this would be overkill on a vehicle weighing less than a slash 4x4 or the tekno 8th scale buggy as they both have similar weight but back to the motor this would destroy the stock spur axles center bearing or any part of the driveline. this has made my truck faster than a losi speed-t with a hot motor because it has enough power to move the 20 tooth pinion(i modified the motor mounts) with gusto up to almost 75 mph on a 3s lipo.